Feed bridging can cause interruptions in feeding sessions resulting in feed quality issues and requiring time consuming corrective measures. 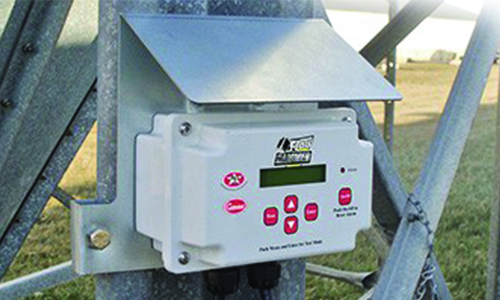 The Flow Hammer is a reliable and affordable way to keep feed flowing consistently to your birds. This patent pending product easily adapts to most existing feed bins for reliable and consistent first in, first out feed flow. The Flow Hammer control unit has timed and sensor control modes. The timed mode uses an “on” time and a “cycle” time to control the Flow Hammer when the feed system is running. The sensor mode activates the Flow Hammer when a feed flow issue is detected and shuts it down when it is corrected. The Flow Hammer can be installed on a full or empty bulk feed tank. The simple and concise control unit can be remotely mounted or tank mounted with an optional leg bracket. 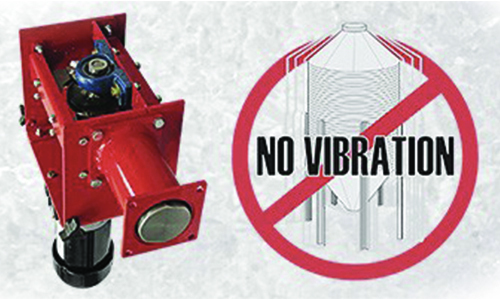 While high frequency vibration devices are effective in promoting feed flow, their use can result in loosened hardware and metal fatigue, potentially resulting in structural failure. The Flow HAMMER’s low frequency / high impact design promotes feed flow without damaging your feed bin or voiding its warranty.